Voters in Fort Wayne City Council districts 1, 2 and 5 will find no contested races on Republican or Democratic ballots. Incumbents Paul Ensley, Russ Jehl and Geoff Paddock do not face primary challengers. Republican Taylor Vanover will challenge Paddock, a Democrat, in the fall. 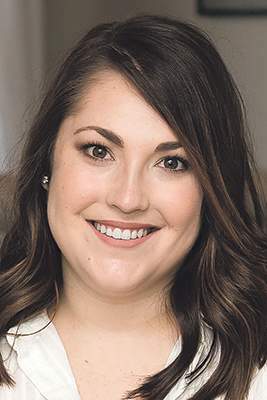 The Allen County Democratic Party has until June 30 to select candidates who might challenge Republicans Ensley and Jehl. There are contested races in both parties for the 4th District City Council seat now held by Jason Arp. In the May 7 primary, Arp is being challenged on the Republican side by Rachel Lott, vice president of Group Stellar, a public-relations firm. Democrats will choose between Patti Hays, CEO of the AWS Foundation and a former hospital administrator, and Jorge Fernandez, a teacher who has run two unsuccessful races for the state legislature. There's little surprise that Arp is drawing strong challengers from both parties. He has been swimming against the tide of progressive local government since his election to the council in 2015. Often joined by District 1 Republican Paul Ensley, Arp has consistently opposed the aggressive economic development plans a bipartisan coalition of council members and the Democratic administration have supported. Arp considers the tax-abatement process a system of picking “winners and losers,” and contends projects such as The Landing and Electric Works essentially take money from taxpayers and give it to private developers. He says many of his constituents share his skepticism. Arp, who runs a company that manages proprietary investments, prefers a minimalist approach to government that would focus on neighborhood infrastructure and public-safety services needs and let the unfettered free market determine the community's economic fate. It's that kind of “black-and-white decision-making” that made Lott, a former Greater Fort Wayne Inc. staff member, decide to challenge Arp. “I believe in fiscal conservatism as well,” she said. “But that doesn't mean spend zero money on your community. To me, that means make sure that you're making smart investments that will result in a net gain for taxpayers.” For instance, she said, the council must offer “tax phase-ins” in order to compete with other communities for better-paying jobs. Besides accountable economic development strategies, she wants to make neighborhoods safer and ensure reliable trash pickup. “We're not feeling listened-to,” she said of constituents of the sprawling west-side4th District. 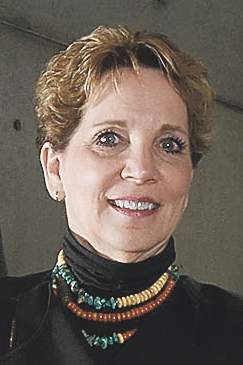 Hays agrees that listening is a vital part of the council job, especially in a district that includes communities as different as the largely blue-collar Waynedale, which she believes still has too many unmet infrastructure needs, and the upscale neighborhoods of Aboite, where the focus may be more strongly on real-estate and quality-of-life issues. Arp sees himself as a council conscience, raising questions others ignore. But more often he seems to be the council automaton, reflexively voting against any proposal to advance the community's interests. We endorse Republican Lott and Democrat Hays as two potentially worthy successors to a councilman who needs to be retired.